Time management is the core strategy for any freelance job. We frequently make a mistake by telling ourselves that freelancing is easy and it gives you a plenty of time. In reality, most of those who start their freelance career meet the problem of lack of time. It seems to be absurd, but the more free time you get, the more unfocused you become with your work. If you have noticed that your freelance work takes too much time from you and you can no longer manage this aspect of your life, you definitely need to use time management strategies that will help you deal with this problem. So here they are. :10 the most effective tips making your working day twice as productive! In fact, it does not actually matter whether you are a freelance or in-house writer, when you get distracted you can no longer efficiently cope with your allotted tasks. However, when you work at home, the problem of distractions becomes even more difficult. Thus, every time you notice that Facebook catches your attention more than writing, just turn off the Internet or set the limits on time you spend on social media. This is the strategy that should be mastered if you have problems with concentration. Set a timer for every 15 minutes of work and increase this time up to a half an hour. You will notice, that 15 minutes can change everything, and you will start to understand the value of the time you have for writing. Goal setting is one of the best strategies to keep you motivated no matter you want to create – whether it’s a quick article outline, to learn how to proofread essay fast or get your monthly accounts sorted, the main thing here is that you must understand what exactly you want to achieve and what effort is required in order to get your desired results. If you are one of those who needs to hear words of encouragement from other people, ask your friends and family to control you with your work. If you exceed the limit of time for a certain piece, let them tell that you can do it faster if you concentrate or that you are great at your job and it won’t be a problem for you to cope with this task at all. If you have just started to control the time you spend on freelancing, you need to reward yourself for every accomplishment otherwise, you will never feel that you really achieved. The rewards may be different, starting from some sweets and up to buying something expensive with the money that you get as a payment for your freelance job. One of the best advantages of freelance writing is that you can work whenever you want. Thus, you may determine the time of day when your productivity is the highest. You will be able to deal with the same tasks quicker and get more free time for the things that are more interesting to you. If you have a huge number of orders, you need to plan and organize your schedule otherwise you can forget the deadlines. Always put the tasks with the highest priority first no matter how difficult they are. In case you have a complicated piece of work for tomorrow and something easy for the day after tomorrow, start with the most urgent one first. Freelancing is a private thing, so it will always be better to work on your tasks when you are alone and when no one asks you thousands of question that have no relation to your work. It will be more difficult if you have small kids and work at home, so it will be better to go to café or some working space for a couple of hours per day to manage your writing. Probably you know that feeling when you start to work and nothing can stop you. Use it to get through as many tasks as many as possible, even though these may only drafts of future work, rough mock-ups or a project outline. First of all, you will definitely need them later on, and secondly, they will be great in making your workload easier. 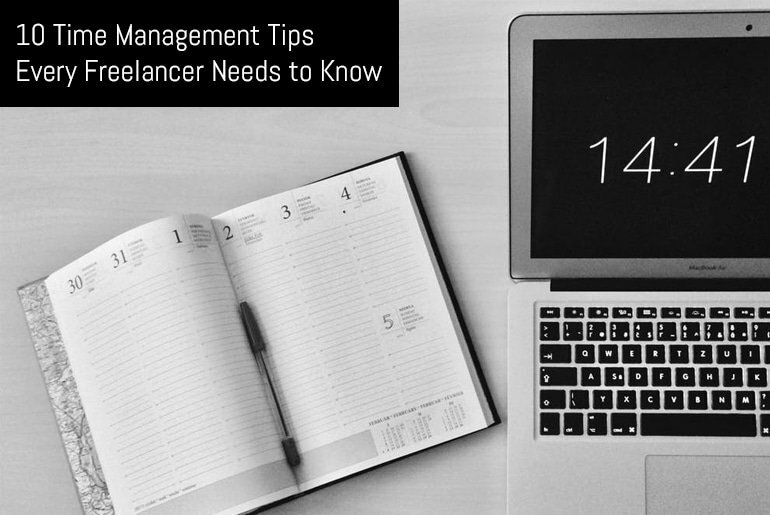 As you see, there is nothing complicated in managing your time when you are a freelancer. Just use the tips we have mentioned in our list, and you will see that from now on, you really have more free time and cope with your freelancing tasks faster than ever before. Christina Battons is a web content writer and blogger from LA. I am a graduate of the University of Southern California. Currently, I write for various blogs like Thriving Writer or similar. I am interested in topics about education, writing, motivation, etc. My writing I use as a tool to further the education of others. You can connect with me through Twitter. Just drop me a line, I'll be happy to hear from you!